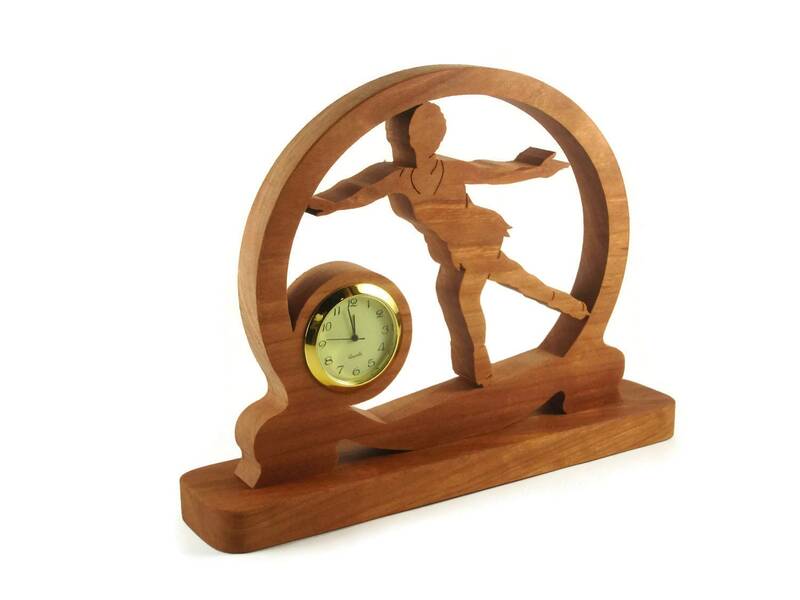 This figure skating ice skater mini desk clock was handcrafted from hand selected cherry lumber. 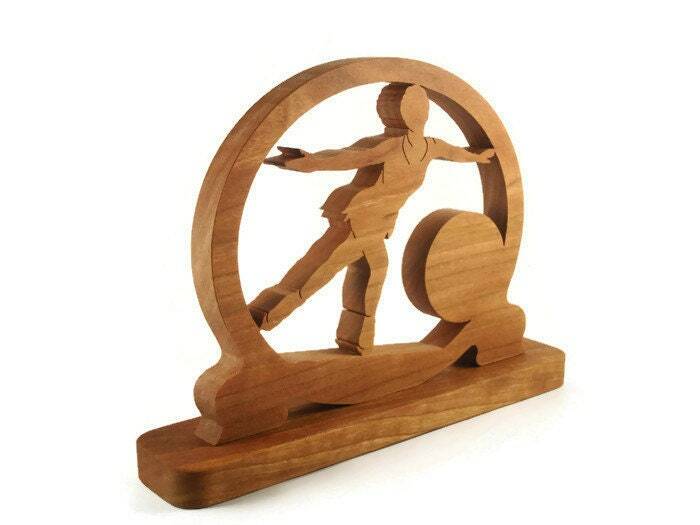 The cherry wood on this ice figure skater clock was cut by hand using a scroll saw. This features a figure skater ice skating encased into an oval shape with the mini clock in the lower left portion inside the oval. This is mounted on a 2 inch x 6 inch base with countersunk screws. The clock insert used here is a mini quartz brand featuring a white face with Arabic numbers and a gold plated bezel trim. 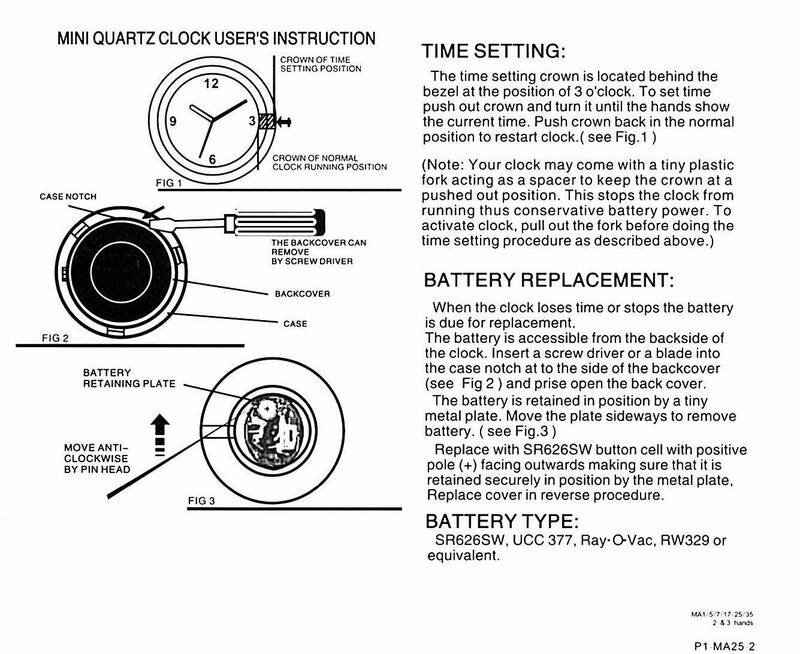 This clock is all ready to be activated with battery installed. 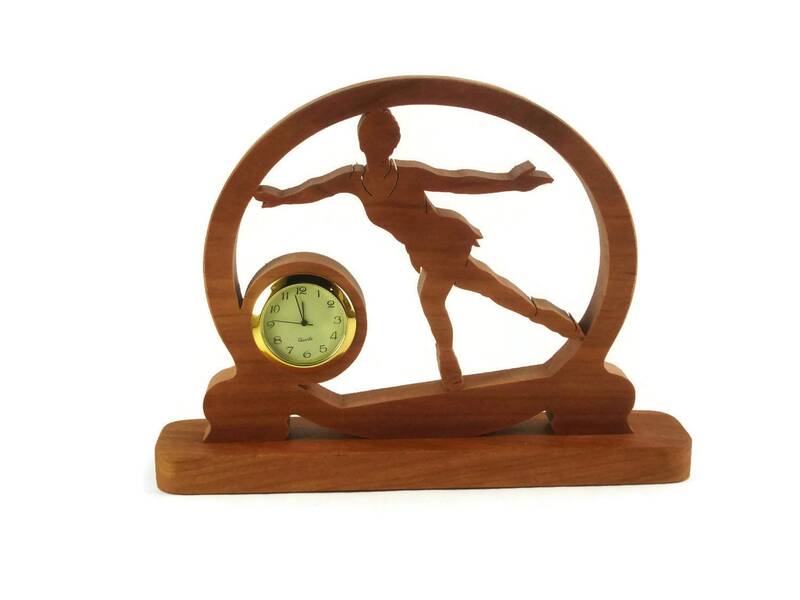 The size of this clock is 1-7/16 inch diameter. The finish on this beautiful praying hands clock is my special blend of a non-toxic all natural bees wax and mineral oil mixture. This gives the wood a real smooth silky feel and also protects the natural beauty of the wood for many years of enjoyment. 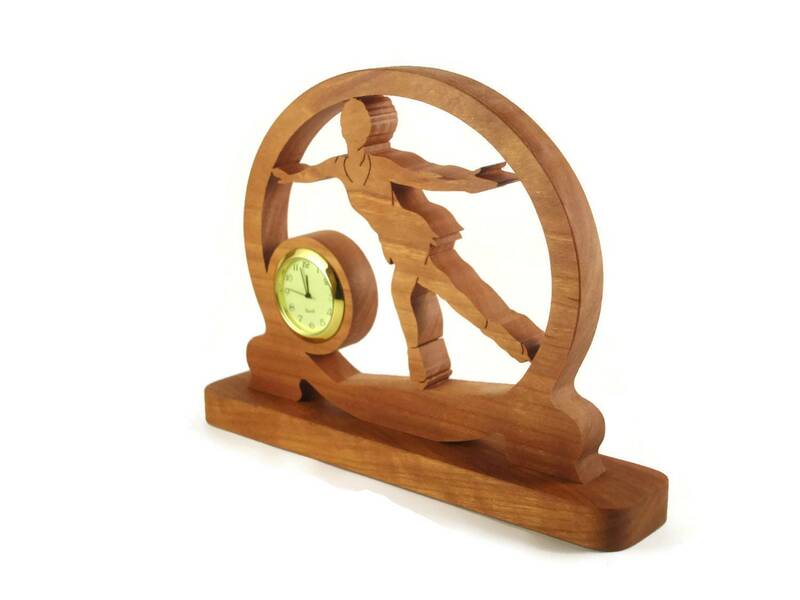 This can be custom ordered and made from other types of wood if you prefer, contact me for details. Прекрасная вещь! Спасибо! Доставлено быстро!